​Possession of any drug for personal use should be decriminalized. That’s the official recommendation of the U.K. government’s drug advisors as of Thursday night. But the Home Office on Friday quickly rejected the suggestion. If the proposals had been accepted, tens of thousands of people arrested for drugs from cannabis to heroin would have gotten drug education courses instead of getting punished in the courts, The London Times reported on Friday. The Advisory Council on the Misuse of Drugs (ACMD) said the policy change would save money for the police, the courts, and probation and prison services, and would allow more drug users to be assessed for treatment rather than being given criminal records, reports Fox News. ​Unswayed by common sense, the British government quickly retreated to mouthing the same old platitudes about drugs. Possession of Class A drugs such as cocaine is currently punishable by up to seven years in jail or a fine. Class B drugs such as cannabis are punishable by up to five years or a fine, and Class C, such as speed, by up to two years or a fine, reports James Slack at the Daily Mail. ​The ACMD suggested that millions of pounds could be saved by police, courts, probation and prison services, which currently must deal with that vast influx of drug users. The advisors’ recommendation was made in evidence to a consultation by the Sentencing Council on new guidelines for how the courts should deal with drug offenses. “For people to be found in possession of (any) drug for personal use (and in involved in no other criminal offenses), they should not be processed through the criminal justice system but instead diverted into drug education/awareness courses,” the ACMD said. The advisers said confiscating driving licenses and passports could be more effective as civil sanctions than imposing criminal penalties. “Such approaches may be more effective in reducing repeat offending,” they said. 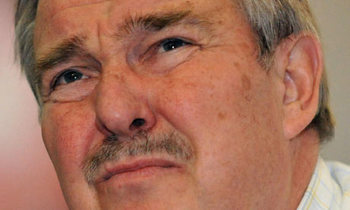 Former ACMD chairman David Nutt was sacked by the Home Secretary in October 2009 for saying cannabis is less harmful than alcohol and tobacco, and arguing that it had been upgraded to Class B for political reasons. Nutt also said that taking ecstasy (MDMA) is no more dangerous than an “addiction” to riding horses. Marijuana foes had hoped for a more conservative direction from the ACMD after the appointment of Christian GP Dr. Hans-Christian Raabe, who took a “tough stance” against cannabis. But Raabe was forced out in a controversy over his hardline views against homosexuality. The call by the ACMD echoes the vote by the Liberal Democrat conference to endorse a similar decrim approach to personal possession.